Swedish regulator Financial Supervisory Authority has issued a warning that the offshore Forex broker BRFX Trade is not licensed to provide financial services in the country. 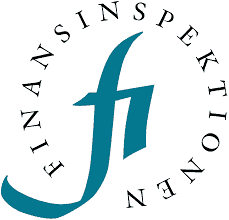 Financial Supervisory Authority (Swedish: Finansinspektionen, FI) is the Swedish government agency responsible for financial regulation in Sweden. It is responsible for the oversight, regulation and authorization of financial markets and their participants. The agency falls under the Swedish Ministry of Finance and regulates all organisations that provide financial services in Sweden. BRFX Trade offers online trading in Forex, as well as CFDs on commodities, indices and stocks and operates through the website brfxtrade.com. The company owning and operating this brokerage, BR Consulting Group Ltd., is registered offshore, in Saint Vincent and the Grenadines. Forex brokers operating from offshore destinations are not regulated by any agency, and are not recommended. Also the website supports English, Swedish, Norwegian, Danish and Italian languages which means it targets European residents without being authorized in those countries. There are numerous complains about this broker on the websites and different forums. People say that the broker is refusing to withdraw clients’ investments, draining the money and cold calling. Trading with offshore brokers is extremely risky. Many of these brokers are scam companies seeking to cut financial and regulatory corners. Unlike with the FCA and other EU financial regulatory entities, offshore agencies pay very little attention to compliance-check, reporting and, they don’t report individual transactions, denying the withdrawals.